Anthony Diep Rosas ’19 is Kalamazoo College’s first Luce Fellowship recipient. Photo courtesy of Amanda Bensel. 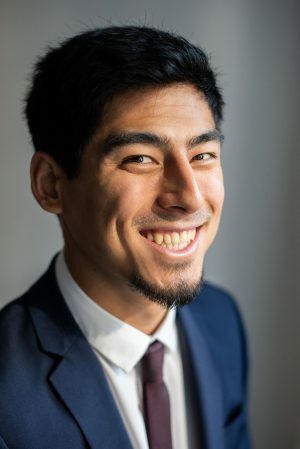 Anthony Diep Rosas ’19 has accomplished an impressive first for a Kalamazoo College student, earning a prestigious Luce Fellowship that will enable him to live and work in Asia, furthering personal and professional aspirations to improve public health. Launched by the Henry Luce Foundation, the nationally competitive Luce Scholars Program offers funds, language education and individualized professional placement in Asia for 15 to 18 scholars each year. The program is designed to enhance the understanding of Asia among potential leaders in American society. This year, Diep Rosas was one of 18 students chosen from 162 applicants. The program attracts applications from college seniors, graduate students and young professionals in many fields who have had limited exposure to Asia. Diep Rosas will hear official word of where he will go as a Luce Scholar in the next couple of months and then spend a year abroad after an eight-day orientation in New York City, which is scheduled after graduation in June. The change Diep Rosas seeks involves better health outcomes for underserved communities in the U.S., especially communities of color. During his time abroad, he plans to explore how his assigned community in Asia engages its people in developing policies that serve their local needs, an experience he expects will strengthen his efforts at home. After his Luce year, he plans to study medicine and public policy in graduate school. There he hopes to holistically address health disparities by working with patients and community members to tackle the underlying systemic issues that contribute to patient health through equitable policy change. Diep Rosas first came to K as a Posse Scholar, one of 10 students to attend that year from Los Angeles through the Posse Foundation, which provides scholarships and support to outstanding student leaders from diverse backgrounds. 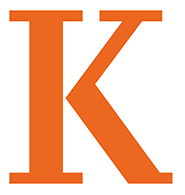 Upon learning about Kalamazoo College as a Posse nominee, Diep Rosas was enamored with its name and intrigued by its small-school environment that nurtures community and offers study abroad opportunities. In his time at K, Diep Rosas has amassed an impressive resume. Among his accomplishments, he works as an administrative assistant with Director of Faculty Grants and Institutional Research Anne Dueweke, Assistant Professor of Sociology Francisco Villegas and Director of Intercultural Student Life Natalia Carvalho-Pinto on beginning qualitative research regarding the racial climate on campus. He received the U.S. Gilman Scholarship to study abroad in Costa Rica. In the Kalamazoo community, he worked with Cradle Kalamazoo and Eliminating Racism and Creating/Celebrating Equity (ERACCE) to reduce Black infant mortality and promote respect for families, women and their children. Diep Rosas was one of the first research fellows at the Arcus Center for Social Justice and he co-founded the Minority Association for Pre-Health Students for students of color with pre-health majors. He served English Professor Bruce Mills as a teaching assistant and Residential Life as a resident assistant. He was also awarded the Jon L. Stryker Future Leaders scholarship, and was recently recognized at the annual Senior Leadership Recognition Awards. This entry was posted in News Stories, Student Honors and Awards and tagged biology, health, study abroad, . Bookmark the permalink.